Cascara at the Villages is an active adult community located in Redmond, WA. With just 122 attached homes, Cascara at the Villages is located within the Redmond Ridge master-planned community. It is a friendly and intimate neighborhood where homeowners become fast friends and share common interests. This 55+ neighborhood takes full advantage of the recreation-centric Seattle area with easy access to parks, lakes, and golf courses, making it perfect for active adults looking for an intimate community in Western Washington. Although there is no clubhouse, homeowners within Cascara at the Villages enjoy access to an outdoor patio, picnic and garden area, as well as walking and biking trails. Cascara at the Villages also shares outdoor amenities with the master-planned Redmond Ridge community. Homeowners can challenge each other on one of the tennis or bocce ball courts or in the horseshoe pits. Enjoy an early morning jog on the walking and biking trails that weave throughout the community's parks and open space. There are also lawn bowling and croquet opportunities. A playground is available for when the grandkids come for a visit and neighbors can gather for a meal in the picnic area. Cascara at the Villages also provides a shuttle service as well as R.V. and boat parking for residents' convenience. Quadrant Homes developed Cascara at the Villages between 2009 and 2011 and has 122 attached and single family homes. Polygon built homes between 2014 and 2015 These lovely homes range in size from 1,108 to 1,610 square feet and offer two or three bedrooms, two or two-and-a-half bathrooms, and an attached one-car garage or street parking in front of each home. Homeowners love coming home to Caesarstone countertops, stainless steel appliances, and hardwood floors. There are numerous ways to stay active in Cascara at the Villages. Neighbors can challenge each other to tennis, bocce ball, or horseshoes. Homeowners also regularly gather in the picnic area or simply enjoy the scenic beauty of Redmond Ridge's parks, trails, and ponds scattered throughout the area. Golfers will also love being across the street from Redmond Ridge Golf Club. A monthly fee covers snow removal, lawn service, as well as road and common-area maintenance, giving everyone more time to enjoy all that Cascara at the Villages has to offer. Cascara at the Villages is located in Redmond, Washington. Just around the corner is the Village at Redmond Ridge that has a grocery store and restaurants. EvergreenHealth Medical Center is just a short drive from the Cascara at the Villages. For getting around town, Interstate 405 is around the corner and for farther travel, the Seattle-Tacoma International Airport is just 27 miles away. The Western Washington area is perfect for active adults who love outdoor recreation. Just down the street is the Redmond Watershed Preserve, Snoqualmie River, Lake Sammamish, and Puget Sound. For urban entertainment, Seattle is less than 20 miles away and is accessible via public transportation that's walking distance from the community. Cascara at the Villages is the perfect 55+ neighborhood for homeowners who want to enjoy all that the Seattle-Tacoma area has to offer. Residents of Cascara at the Villages have access to the outdoor amenities within Redmond Ridge. There are plenty of activities available in Cascara at the Villages. Here is a sample of some of the clubs, activities and classes offered here. Quadrant Homes developed Cascara at the Villages between 2009 and 2011 and has 122 attached homes. These lovely homes range in size from 1,108 to 1,610 square feet and offer two or three bedrooms, two or two-and-a-half bathrooms, and an attached one-car garage or parking in front of each home. Homeowners love coming home to Caesarstone countertops, stainless steel appliances, and hardwood floors. 55places.com is not affiliated with the developer(s) or homeowners association of Cascara at the Villages. The information you submit is distributed to a 55places.com Partner Agent, who is a licensed real estate agent. 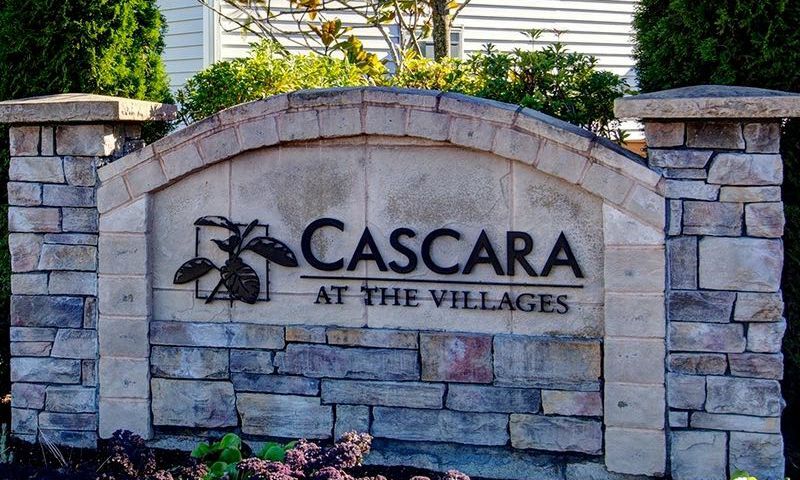 The information regarding Cascara at the Villages has not been verified or approved by the developer or homeowners association. Please verify all information prior to purchasing. 55places.com is not responsible for any errors regarding the information displayed on this website.